Abortions Drop to Their Lowest Numbers In Texas Since 1977! Good News Friday! Abortions Drop to Their Lowest Numbers In Texas Since 1977: We call it Good News Friday because it's a chance for David and Tim to share some good news from across the nation and around the world. In this episode, we talk about how there are Cabinet Bible Study meetings being held. How Texas abortions drop to their lowest number Since 1977. How Republicans confirmed a lot of judges while no one is looking. And more! Palestinians and President Trump, Foundations of Freedom Thursday: It’s Foundations of Freedom Thursday! While we normally take several questions from our readers, today we’re dealing with one specific question on whether or not President Trump can actually withhold money from the Palestinians. Guest, Mitch Danzig, is on to discuss this with us! Tune in now to learn more! Celebrating the Bill of Rights, Part Two: Join us as we celebrate Bill of Rights Day! September 25th is the day when Congress proposed the Bill of Rights, so we’re going to be learning some specifics about the Bill of Rights today! We’ll be talking about what things we believe the federal government can never touch, why they can’t touch those things, and more! Celebrating the Bill of Rights, Part One: Join us as we celebrate Bill of Rights Day! September 25th is the day when Congress proposed the Bill of Rights, so we’re going to be learning some specifics about the Bill of Rights today! We’ll be talking about what things we believe the federal government can never touch, why they can’t touch those things, and more! The Bible Comes to Life – Journey to the Holy Land! 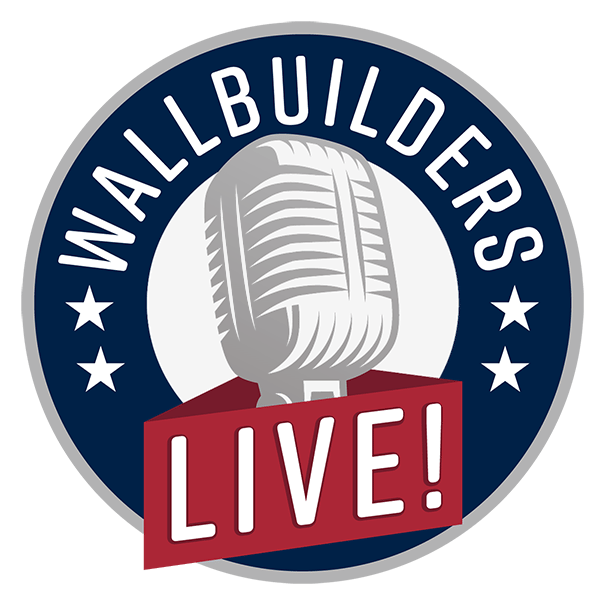 The Bible Comes to Life - Journey to the Holy Land: We’re joined by Omer Eshel to talk about WallBuilders’ upcoming trip to the Holy Land! This is going to be an exciting experience! Tune in now to find out what to expect and learn how you can join us! Small Business Index Is The Highest It Has Been In Decades! Good News Friday! Small Business Index Is The Highest It Has Been In Decades: We call it Good News Friday because it's a chance for David and Tim to share some good news from across the nation and around the world. In this episode, we talk about how the small business index is the highest it’s been in decades! How Arkansas is repealing a large number of regulations! How Florida is bringing God consciousness back into schools. And more! Pastors - Politics in the Pulpit, Building on the American Heritage Series: Today we’re talking about pastors in the founding era and the influence they had from the pulpit on the American War for Independence. We’ll be answering questions on pastors in politics such as what about the First Amendment? Did Jesus spend much time talking about politics? And much more! David Barton gives us the history of America’s war against terror, going back 200 years! Learn about what drives the terrorists as well as why we fight! America - Our First War on Terror Special Presentation Part One: Today and tomorrow we have a special presentation by David Barton on the spiritual and historical perspective of America's War on Terror. Many people don't realize how far back this story goes! Tune in now to learn more! Islam: Their Significant History With the 9/11 Date With Bill Federer: With the recent anniversary of the September 11th terrorist attacks, we’re taking some time to remember what happened, discuss lessons we need to learn, and also how we can protect our nation going forward. Bill Federer from the American Minute will be joining us today to talk about his book on the Qur'an and what every American should know about it. Tune in now for more!